1 year of cloud hosting. 1. 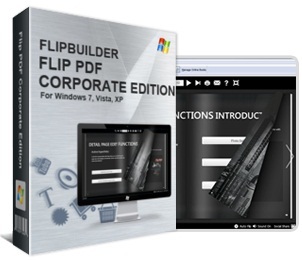 Convert PDF to Adobe© Flash® based page-flipping eBooks. 3. Offer Project Panel to easy open or save project. 4. Provide command line version. 5. Import bookmarks (outline) with PDF, and edit them manually. 6. Import hyperlinks with PDF, include web link, page link, email link. 8. Add watermarks text, image, dynamic date/ time etc to page-flipping eBooks. 10. Detect landscape page to present as two-page spread; .